Hello! Today I'm handing things over to a very special guest who's here to tell us all about her brand new book. So without further ado - here she is. Howdy. I’m glad you’ve stopped in. My name is Christine and although I’m only eleven, I’m what some adults might call precocious. A lot has happened in my life, some of it bad, but like my dad used to say, good things can result from the bad stuff that happens to us. To help me celebrate overcoming my challenges, a great gang of authors have teamed up and will be giving away copies of their books. Sweet, yes? For a chance to win a pair of the books listed, you can do anything included on the Rafflecopter below or on Facebook. 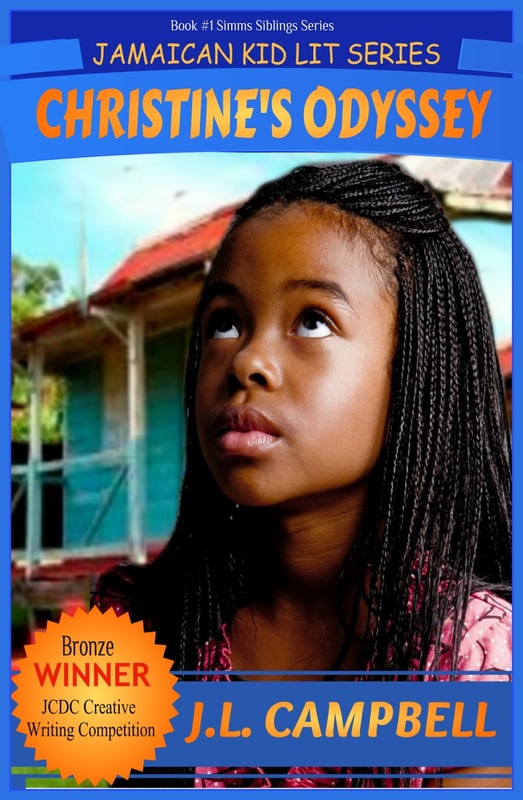 However, for those who’d like to win a $10.00 Amazon Gift Voucher, hop on over to the Jamaican Kid Lit Blog to enter for that. Raised in a hotbed of arguments and fights, eleven-year-old Christine Simms is the victim of her mother's cruelty. A domestic dispute ends in tragedy, sending the family into a tailspin. 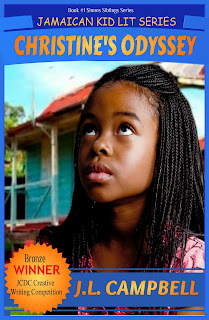 A shocking discovery sends Christine on a quest to find the stranger who left her behind in Jamaica. Determined to unravel the mystery of her birth, Christine uses every tool at her disposal and treads with courage where no child should. Thanks so much for dropping in! I hope you win the novels of your choice. I should tell you that you get to choose books based on how the Rafflecopter does the drawing of the winners. So, if your name comes up first, you get to say which pack you want. She writes romantic suspense, women's fiction and young adult novels. She is the also the author of Contraband, Dissolution, Distraction, Don't Get Mad...Get Even, Giving up the Dream, Retribution and Hardware (written under the pen name Jayda McTyson). Thanks for the good wishes, guys. Nick, I appreciate this more than I can say. Christine forget to say that each winner will also receive a copy of her book. Best of lucks to J.L.! Good things can result from the bad stuff that happens to us. I'm truly delighted to see further awareness of Joy's book being presented on your excellent site, good sir. And yes indeed, this amazing dog shall forward the pawsting, sorry, posting, to the social networks. Wow! This is remarkable. Congrats, Joy! Congratulations, Joy! Good luck as you go forward. Love the cover. Christine is Princess Of BloggyVille at the moment! congrats joy! Lovely to see you everywhere today! Great to see so much support for Joy. How are sales for Overcoming Adversity Nick? How is Andrew? Congrats to Joy, and it's great to see Christine everywhere! Thanks so much for the good wishes. Thanks for your support. That looks like a great book! Congratulations. Entered here and on JJ's site.